Mathematicians have called for a concerted and ongoing effort to reverse the "downward spiral" in school mathematics highlighted in Prof Adrian Smith's report. Among other things, Prof Smith said the UK Advisory Committee on Mathematics Education (Acme) should have an enhanced role in taking forward his recommendations. Its chair, Sir Chris Llewellyn Smith, said: "We are less and less numerate as a nation, just at the time we need mathematical skills to stay competitive in the global market." He said it was crucial that teachers should have access to continuing professional development. "Maths and the techniques we use to teach it are changing constantly. "To ensure our children have the best maths education possible we need to give teachers the opportunity to engage with the latest developments and knowledge throughout their careers. "Lawyers and doctors have access to continued training throughout their careers, so why shouldn't teachers of a technical subject like maths?" But Doug French of the Mathematical Association said there were no clear recommendations on how the necessary time could be made available for teachers to engage in such professional development. The general secretary of the National Association of Head Teachers, David Hart, said radical action was needed to halt the decline in mathematics and to start to restore it to the crucial position it held some years ago. "If the government continues to require five or more A* to C subjects at GCSE as a key performance indicator, then there is a strong case for insisting that two of these subjects be English and maths," he said. "It seems quite extraordinary that English and maths are compulsory performance elements at 11 and at 14, but disappear at 16." The mathematics writer and broadcaster Simon Singh also highlighted Prof Smith's "considerable concern" over the severe shortage of teachers. "We have some great maths teachers in Britain, but simply not enough," he said. 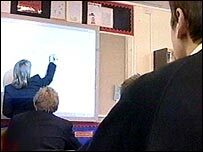 "Anybody who has any confidence in or love of maths was influenced by an enthusiastic and knowledgeable teacher at some point in their life, and unless we can address the desperate maths teacher shortage then there will be a continued decline in the number of people succeeding in mathematics at GCSE, A-level and degree level. "The government needs to find out immediately why fewer people want to teach maths and why more people are leaving the profession, and then somebody needs to put in place the changes necessary to reverse the situation." He added: "Whatever happens, the government must not take the soft option of creating a smoke screen, ignoring the problem and hoping that nobody notices or cares." TV presenter and mathematician Carol Vorderman said: "Whether or not you enjoy maths, no one would disagree that it is of paramount importance in any basic education. "For an economy driven by technology, mathematics education can mean the difference between a successful future and that of mediocrity. "You need only look to India to see how the love and skill of mathematics is providing a new wave of wealth through computing and financial services. Prof Smith himself also mentioned India as an example of skills transfer. Asked whether any other country had an exemplary method of teaching maths, he said systems and cultures were so different it was difficult to draw such comparisons. It was often thought that teenagers in Eastern Europe were better at maths because they had less access to such things as video games. "But that doesn't seem to me to lend itself to a recommendation," he said. "Perhaps the lower the levels of consumer society the higher the levels of education in mathematics - and chess playing." More seriously, he did make "if you can't beat them, join them" comments about the potential for using information technology in school. "I think we have just not cottoned on to its uses in exciting students. "I have a sense that mathematics lags behind in its teaching creativity - we have to keep up in a world in which kids are used to multimedia and surfing the web." "Fewer than one in ten pupils are choosing to study maths after sixteen"